So the end result is that we’re only half way through the year and I’ve added the following beauties to my little collection. 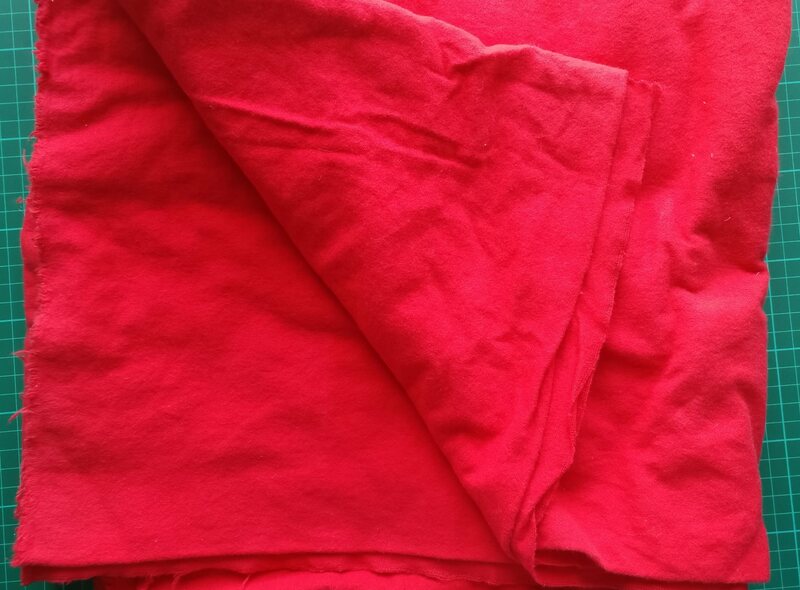 First off was a trip to Fabricland in Bristol, where I picked up 3m of this red winceyette – I don’t feel too bad about this because I’ve actually made something from it, (I just have to get around to finishing the blog post) and I’ve got plans for the rest. While I was there, I also found this faux shearling – I’m hoping to make an asymmetric jacket from Wendy Ward’s book out of this. 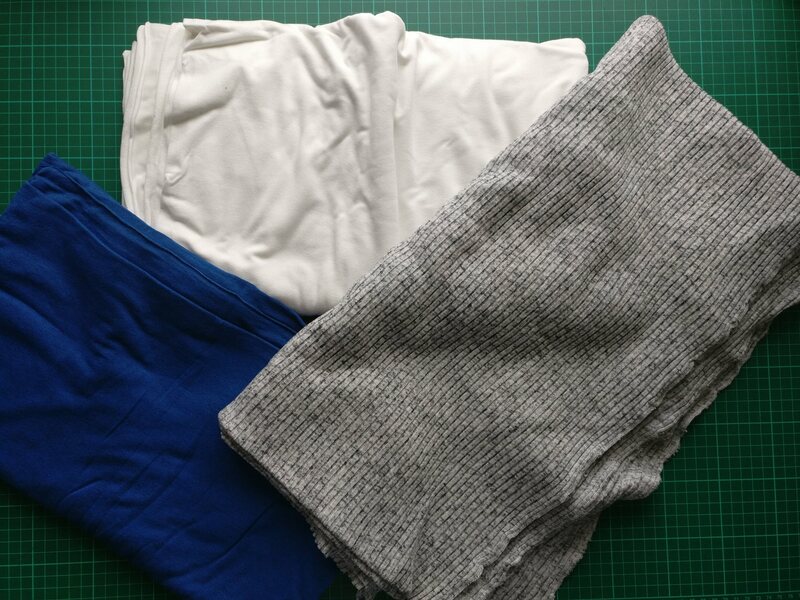 Next came an order to Minerva Crafts, which resulted in me buying several cuts of knit fabric in the hope that I would gain an understanding of how they feel and how they sew up. I’m not yet sure what to do with any of these, but I am pleased with them all. 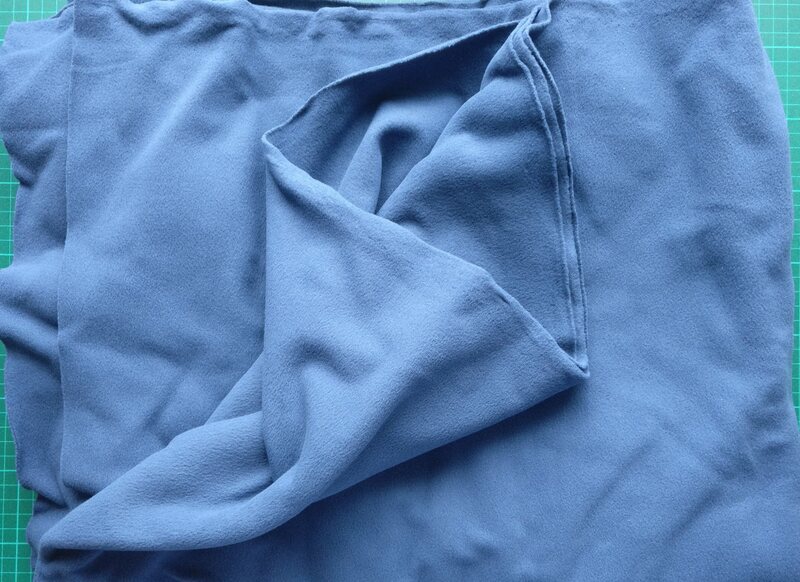 I’ve got three poly / viscose knits – the cream and blue have a very similar drapey hand. The grey rib knit is the only one I’m slightly disappointed in – it was described as being very soft, and I find it more scratchy than soft. I was hoping to make a waterfall style cardigan or something similar with it, but it’s too scratchy to be against the skin, for me at least. 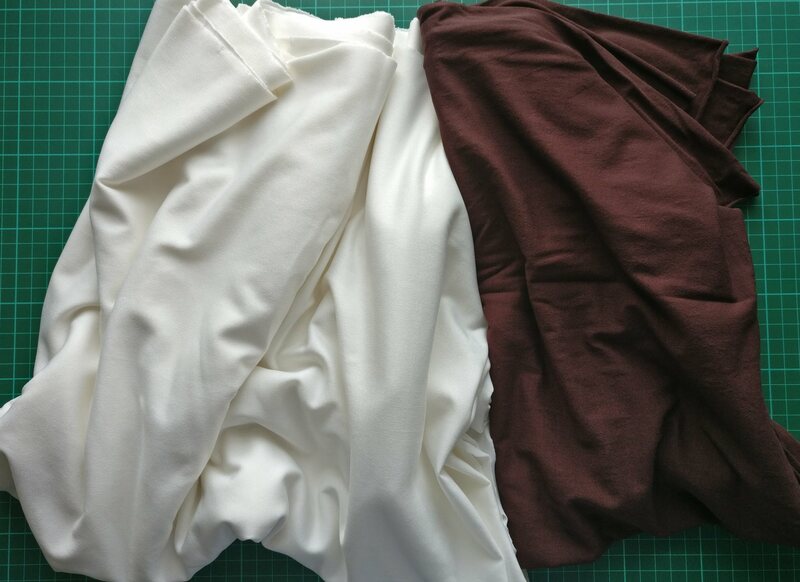 I also bought a metre of this unknown brown knit – I was hoping it was going to be a bit more substantial than it is, but it’s a nice soft fabric, and I can easily make a t-shirt out of it. This is another cream knit, but this time a poly / lycra mix. 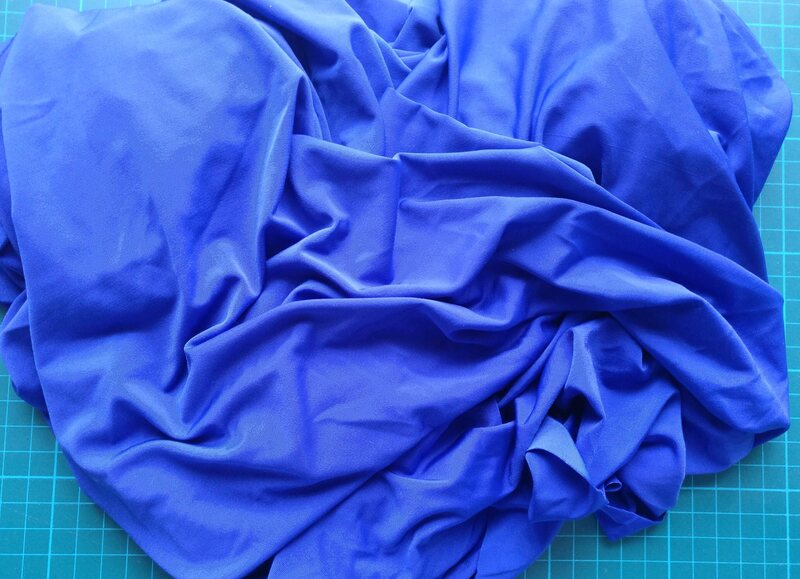 It does feel a bit more like a swimming costume material than I was hoping, but again, I’ll easily find a use for it. After that was a work trip to Manchester – I was asked to attend a meeting at the last minute, and on the way in to the meeting venue, I noticed that next door was Abakhans. Well, I had 20 minutes before I needed to be in the meeting, so it would have been rude to not have a rummage through the baskets of pre-cut material. 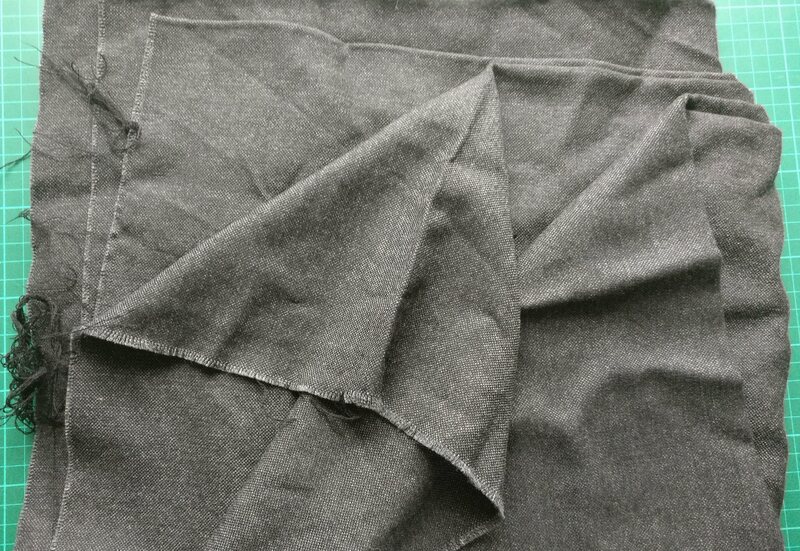 My first stop was the suiting, and I picked up what I, and the sales lady, thought was 1.5m of this charcoal wool mix suiting. After I left Manchester I regretted not buying more, but it turns out that I actually bought about 3m. 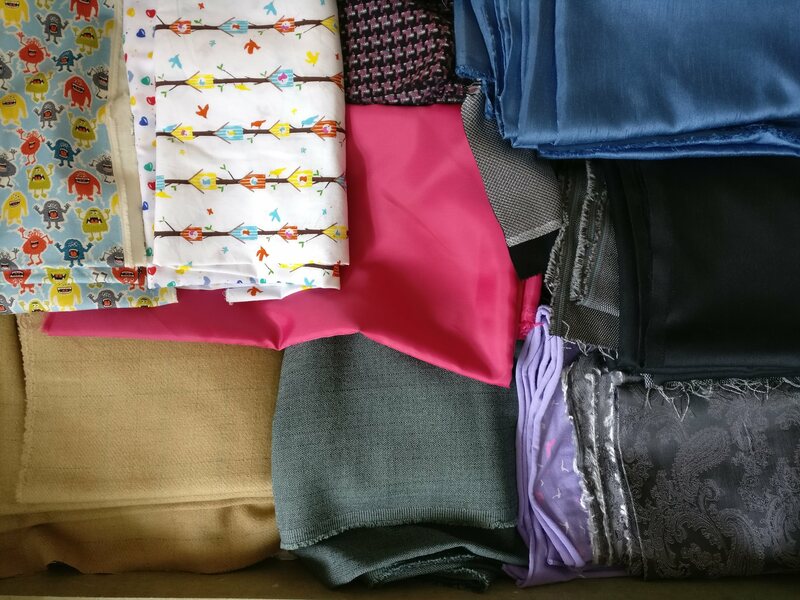 This is going to get turned into a waistcoat for Mr Sewsmart, and something else…I’m not sure about that yet, I will have a look and see how much I have left over, but I still wish I had bought more – it’s beautiful and feels gorgeous. I again raided the knit fabric basket – I love my Lindy petal skirt, and I fully intend to make another out of this teal ponte roma. In addition, I’m hoping to make a version of New Look 6000. I bought about 1.5-2m of this black t-shirt knit, with the intention of making a basic T-shirt for Mr SewSmart. 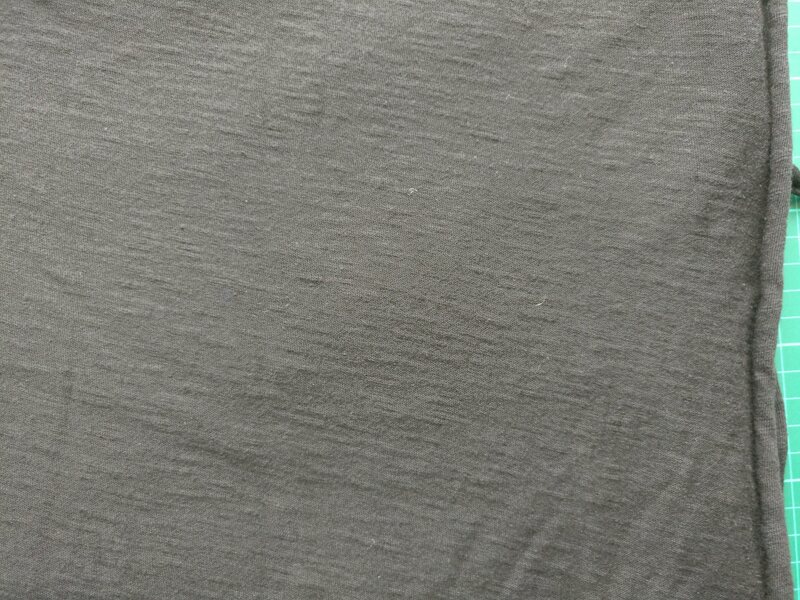 You can tell that I bought this quickly though, as it doesn’t appear to be a very good quality – the grain doesn’t seem to be perpendicular to the selvedges and so I’ve not even bothered measuring how much I have. 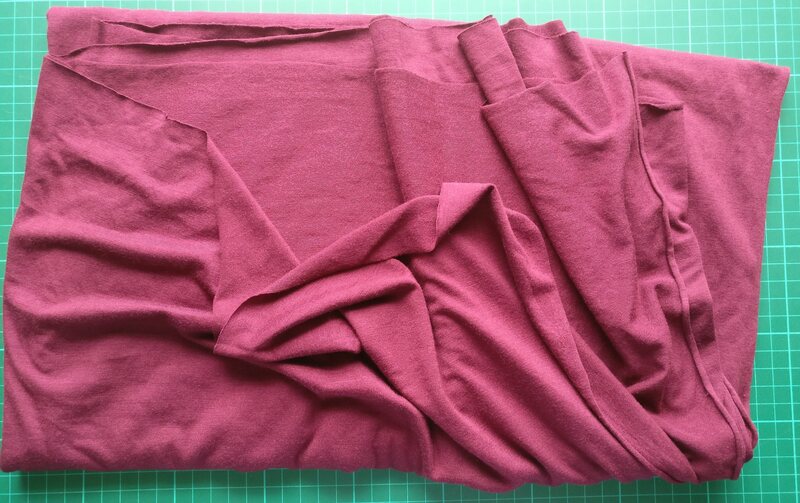 I have about a metre of this burgundy knit again for a t-shirt for me. I bought a metre of this slinky blue knit…I’m again not sure what this is for, but I think it will be interesting to learn to sew with it. 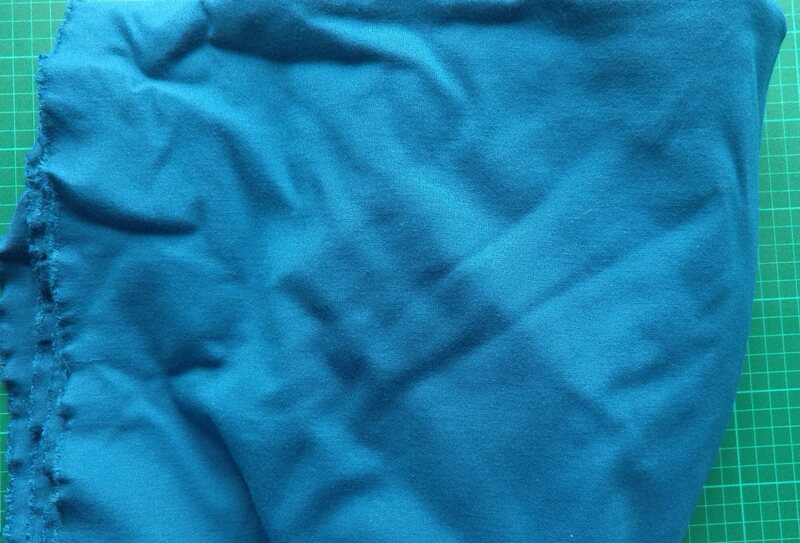 Last but not least, I bought approximately 2m of this teal microfleece. 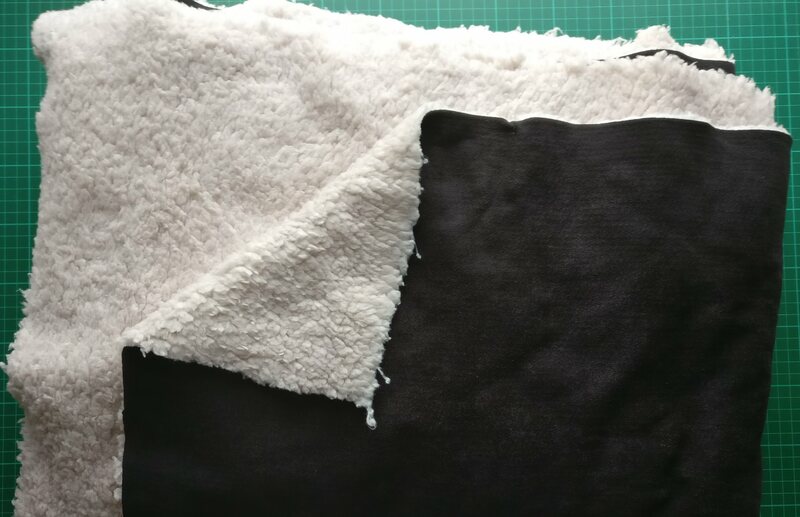 Over the course of many dark evenings in January and February I painstakingly unpicked an old favourite fleece of mine, and this fleece is to hopefully replace that.